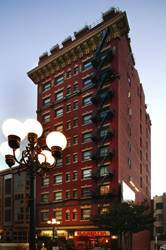 The boutique style Hotel Ramada Inn & Suites Gaslamp / Convention Center is centrally located in San Diego's exciting Gaslamp Quarter, we invite you to step back in time to the elegant comforts, friendly hospitality and impeccable service of a bygone era. Opened in 1913 as the St. James Hotel, San Diego's original high-rise luxury hotel, our beautifully restored property is an oasis of historic style for leisure and business travelers. The elevator leads to 10 floors with 99 beautifully furnished guest rooms and suites and Harborview Rooftop Terrace that offers inspiring views of San Diego's skyline and bay. Vacationers find relaxation, while corporate and meeting guests gain inspiration from the spectacular city and bay views of our Harborview Rooftop Terrace and 1, 300-square-foot Presidential Suite. 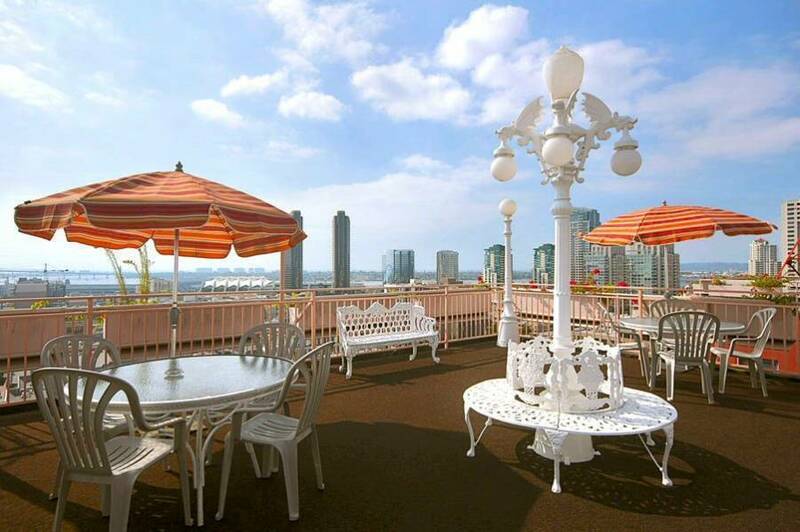 We're ideally situated for business or play because everything that makes San Diego great is outside our front door! Restaurants, nightspots, shops, the San Diego Convention Center, world famous San Diego Zoo, beaches and even Mexico are only minutes away. Historic architecture, friendly service and surprises, such as free M&Ms at check-in and energetic employees who know your name, are hallmarks of the boutique Hotel Ramada Inn & Suites. Concierge, valet parking, laundry valet and massage services cater to your every need. Free access to a nearby full-service gym is available to keep you pumped. 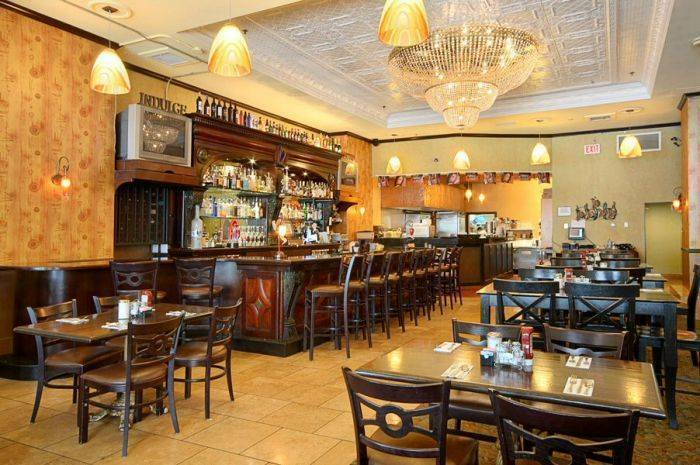 Our lobby restaurant Brian's 24 Restaurant Bar & Grill and is open 24 hours everyday. 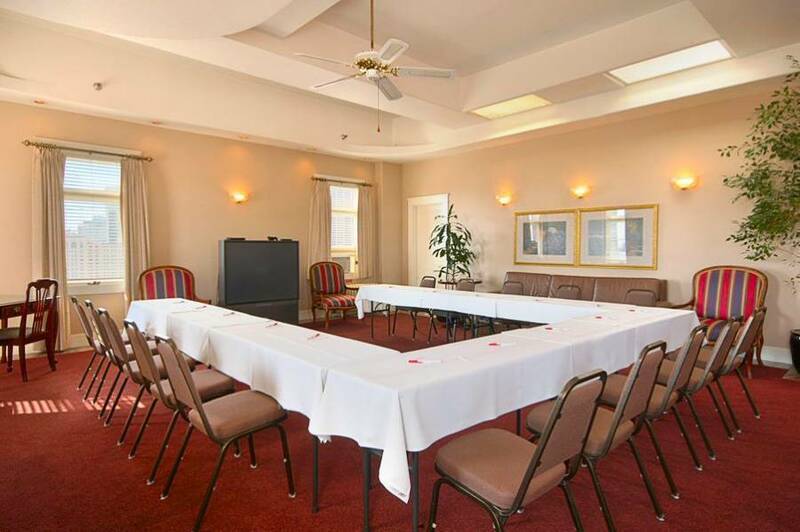 Historic meets high tech in the Hotel Ramada Inn & Suites 99 fashionable guest rooms including 4 luxurious suites. Relax in the comfort and style of yesteryear, and stay up to speed with 21st century amenities including Free high speed Internet access, voice mail, 25-inch TVs with free HBO. All rooms feature coffee makers, hairdryers, irons and boards and complimentary daily newspaper. 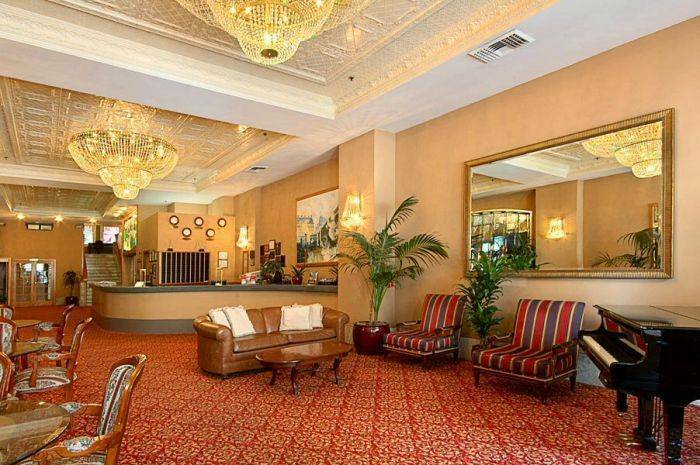 This charming 99-room European-style boutique hotel is located in the heart of downtown San Diego's Historic Gaslamp Quarter and surrounded by fine galleries, theatre, award-winning dining, live entertainment, spectacular shopping and exciting nightlife. Enjoy superior accommodations, warm hospitality and impeccable service. 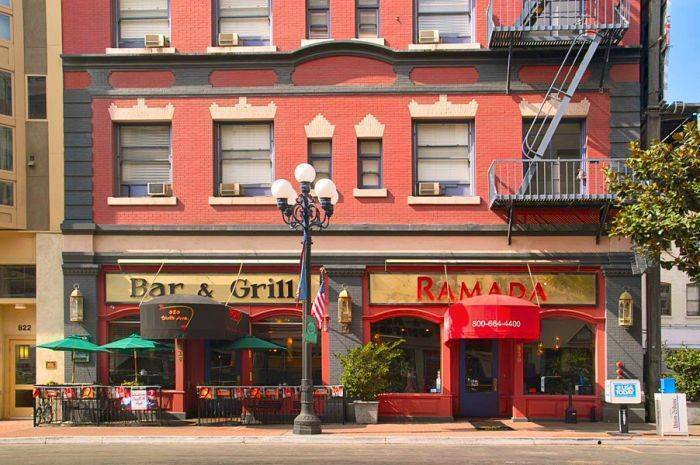 You're close to everything in San Diego at the boutique Hotel Ramada Inn & Suites, nestled in the heart of the entertainment Gaslamp Quarter. Walk to 150 of the most exciting restaurants, night spots, galleries, theaters and shops. Credit card is required to guarantee a reservation. Cancellation policy is 24 hours before the day of arrival. On 6th Ave, between E and F St. In the Gaslamp Quarter. Free shuttle to and from the Airport. Bus stop and Trolley stop are just 2 blocks away.